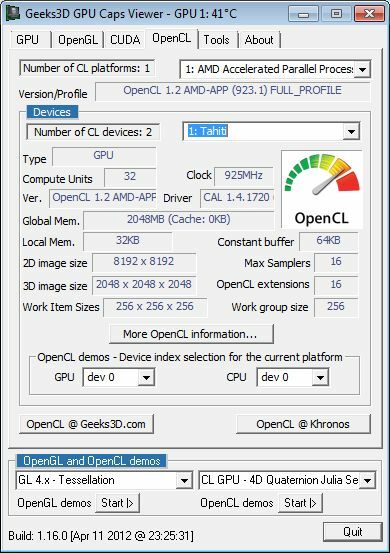 Thanks for publishing the OpenCL information for the 7970 :). I’ve been after the infor for CL_DEVICE_MAX_MEM_ALLOC_SIZE and cl_khr_fp64 support for sometime. 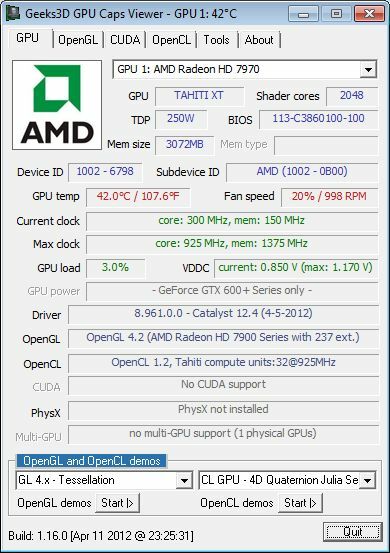 I really wish there was a database for GPU Caps Viewer openCL info. It would be great if you could do the same for Ivy Bridge CPU+GPU with the “New Intel® SDK for OpenCL* Applications 2012” opencl runtime and latest graphics driver. @Michael Simmons: I think you will appreciate my test of the Ivy Bridge processor that will be published very shortly. Ma’man… My Man!!! Yes, please, bring it on. Somewhere in the title of this article, you should have mentioned ‘1 new OpenGL extension’. 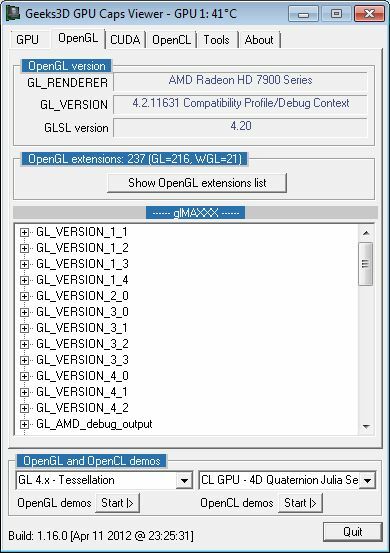 Saying that it has 237 OpenGL extensions does not provide any context with reference to previous drivers, and it made me believe that it may have included more than one new one. @JohnJack: one new extension compared to Catalyst 12.2. 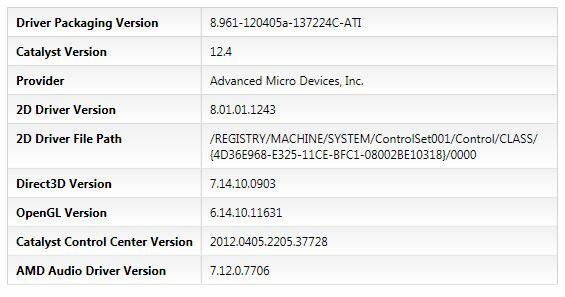 I instaled 12.4 catalyst driver,but there is no name of the catalyst version in information/software table like the above.It has Driver Packaging Version,Driver Packaging Version,Provider,2d driver version…it just dont have catalyst version 12.4 written.Is that normal cause drivers are solid,no bugs or anything but im just curious.